We have to admit a state of bewilderment here at Ibrox Noise – we knew of Dundee United, Sunderland and Motherwell’s reported interest in Jordan Rossiter but for the anchor man’s loan fate to end up being at lowly League Two Bury (with all due respect) really is a very odd move (despite their current position). We’ve strangely begun a bit of a partnership with the Gigg Lane side – from the summer friendly, to giving them Jamie Barjonas for a spell (he hardly played, it wasn’t much of a productive loan) and now lending them a truly excellent midfielder in Rossiter, we do wonder where it all came from. But it’s Rossiter’s imminent time down there which perplexes us the most – and we mean no offence to Ryan Lowe’s team, but he’s better than that, by miles. Jamie Barjonas didn’t get much from his period there, and we can’t see an infinitely superior player who will instantly be by a gulf the best player in the division learning much either. Sure, it’s competitive football and League Two is not abysmal – but if we want our players to develop, improve, and keep their edge, sending them to a team who are a tonne below their own level isn’t the best idea, in our view. Stevie knows best, we get it – he’s forgotten more about football than we’ll ever know. But for all of the other significant fringe players to go out and get League One at least makes us wonder why Rossiter ended up a league lower. The one thing he gets is fitness. And a sustained run at first team football. He deserves no less. Has SG decided to send him there because he'll get guaranteed game time week in week out? Especially as you say he's way above that level!! Rossiter is injury-prone. Barjonas, hasn't had a fair crack of the whip. At least that's how I feel. One more injury, could be the end of Jordan. Even if I think personally, he's a nice kid. We beat bury 6 nil in a friendly, they would probably take any player we want to offload and cannot send elsewhere. most clubs will see Rossiter as an injury prone risk, let him sit on someone else's wage bill. I totally agree that we are above League 2 in SPFL standards. But the kid needs to start EVERY WEEK. We can't be fussy about who he goes to. He wouldn't start at Sunderland or Motherwell every week imo. And Dundee United are probably in a par of a league and tbh I'd give that Club nothing. He needs a run of games. If he can't stay fit at Bury ffs it's time to let him move on. Big 6 months for the kid to prove he can stay fit because he's a decent player. His teas oot if he's injured after 2 games. Goodbye Jordan all the best sorry it's not worked out in 3 seasons. Watch what your saying mate if the timmys read your post they will be laughing at us. As you put Bury on par with the league Dundee Utd are in. We where once in that league not so long ago that won't say much for us. As I said we can't have the Timmy beggars laughing at us that's only my opinion buddy. What a fall from grace for this lad. No disrepect to Bury but that's not good if that was the level of clubs sniffing about him. 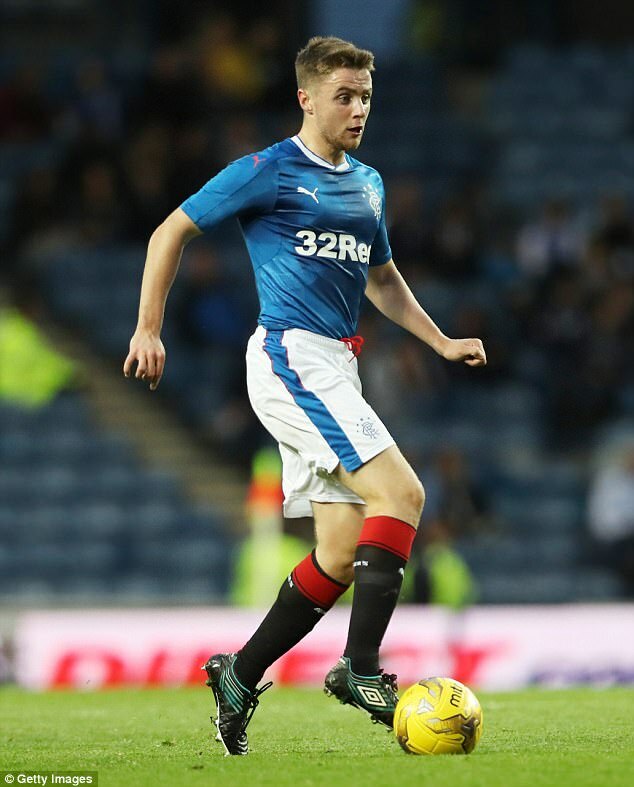 The Bury manager said Rossiter knocked back 2 SPFL teams and 2 League One teams so he is held in higher regard. The boy feels it's a good move for him and good on him. I remember the outrage when young Docherty wanted to leave to get games and he's got 8 goals 8 assists in 32 games and getting better and better at Shrewsbury who to be fair are probably on a par with Bury who are near the top of league 2 whereas the Shrews are near the bottom of league 1. Docherty was outstanding against Wolves and his performance came as a result of playing week in week out in an ADVANCED position. The difference is Docherty already had 100+ pro appearances so for now it's all about getting Rossiter that. The boy is 21 and the lack of senior football he has not played is not good enough at his age. Can't always be a Liverpool wonderkid his tag will eventually outgrow him. He'll come back better for it if he can get confidence to come back to Rangers and want a big part to play. Bare in mind, Gerrard crucified him against Dundee (without naming him in public) so he's no where near Gerrards desired levels, cause he's not been seen since. And that is the truth of it. Big 6 months. If this gets him match fit, we get a new player in summer. We should have got rid of JR Permanently! He has had long Enough!